10ETH를 구매하시면 10%를 사은품으로 증정합니다. * 증정분은 거래소 상장 1개월 후 드립니다. * 대한민국 국적의 구매자분에게만 해당되는 이벤트 입니다. The Artificial Intelligence market has continued to become more popular throughout the past few years. Especially with the extreme explosion of public and private interest in blockchain technology, competition within the growing AI sector is rifer than ever. For one, this competition has led to the creation of better technologies and an increasingly sophisticated network of interwoven companies and creators. DeepBrain Chain is one step closer to launching their AI development and exchange platform. The DeepToken they have designed will act as a currency and voting mechanism on their trading boards. There two initial trading boards will help Artificial Intelligence (AI) projects gain financial and technical support from backers who hold DeepTokens. As outlined in their whitepaper, DeepToken Exchange (www.deeptoken.com) aims to service this need, assisting valuable, authentic and promising AI companies and startups receive necessary funding and tokenization; allowing them to issue and trade digital assets. As modern society heads towards a heavily AI-assisted future, start-up projects are being created at a rapid pace to capitalize on all the potential. A major dilemma for such projects is the manner in which they source their funding. Traditional financing methods prove troublesome in a market with such a feverish pace, due to being too lengthy or inefficient. So where are these projects to turn? DeepToken Exchange looks to provide the answer. Can DeepToken Exchange's Innovative Ideas Breathe New Life into the Market? As outlined in their whitepaper (www.deeptoken.com), DeepToken Exchange aims to service a growing need for valuable, authentic and promising AI companies and startups to achieve necessary funding for development via tokenization; allowing them to issue and trade digital assets. In the popular Chinese game Go, at the end of the game players retroactively review their moves, examining mistakes and determining correct plays in order to increase their skills for the next game. DeepToken Exchange (www.deeptoken.com), the world's first cryptocurrency exchange dedicated to AI, has just completed its overseas meet-up tour. Founder, Feng He, together with his team, met and talked with community members, investors and partners. The topic of discussion was the new "AI+Blockchain" ecosystem, or the DECO (decentralized AI ecosystem), composed of DeepToken Exchange and DeepBrain Chain. Attendees including local media agencies showed a lot of enthusiasm and interest for DeepToken's innovative operation models. Announced on August 2nd, DeepToken, world's first digital asset exchange dedicated to AI, is launching in October, and will implement an innovative mining model – "voting as mining". 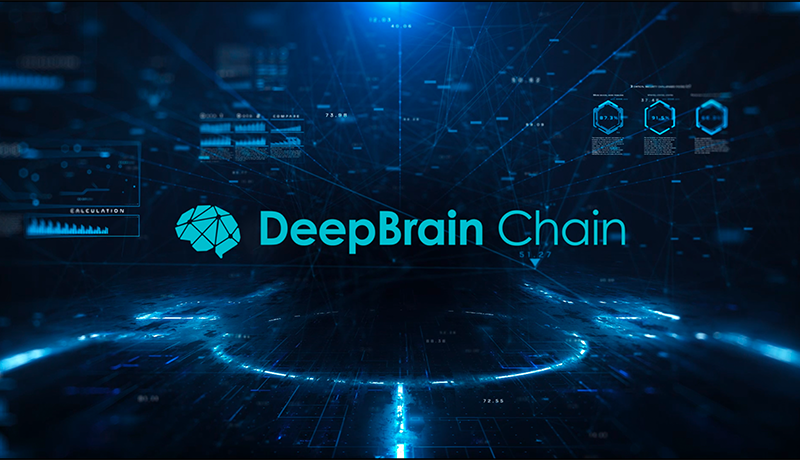 Backed by DeepBrain Chain foundation and its global AI community, the new exchange will be committed to discovering quality projects for investors and facilitating reputable AI companies by achieving leapfrog development through helping them issue, trade tokens and get funding. บริษัท Startups AI เติบโตอย่างรวดเร็วมาก จนเริ่มจะเป็นยุคสำหรับ AI อย่างแท้จริง แต่อย่างไรก็ตามสำหรับหลาย บริษัท วิธีการจัดหาเงินทุนแบบดั้งเดิมจะไม่สามารถใช้ได้อีกต่อไป วิธีการเดิมๆจะไม่เหมาะกับตลาดแบบไดนามิกนี้ โครงการใหม่ๆจะเจอคำถามก่อนเลยว่า แหล่งเงินทุนจากแหล่งไหน?